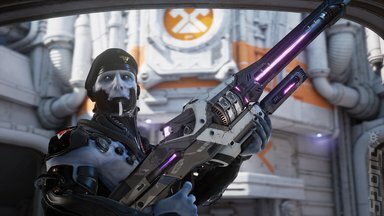 Epic’s Unreal Tournament franchise has been around since the late 90’s when FPS games were starting to take a major grip on the gaming marketplace following the success of the likes of Doom and Quake. Having fond memories of playing all the previous titles, I was excited when a new game was announced, with a strong emphasis on bringing back the gameplay from the original UT. Having eagerly signed up for the alpha, I have been playing the game on a semi-regular basis, focused around new content releases. The game has also featured at the two LAN parties I attended this year, providing lots of competitive fun even in this incomplete state. Unreal Tournament is being developed as a free to play game, relying heavily on feedback and help from the community with regular updates across social media, from their own forums to Facebook and Twitter. Supported platforms are to be Windows, Linux and OS X, providing a massive potential player base. It is interesting that they have not chosen to work with Valve’s Steam solution, which is being seen by some, as a risk to the game’s long term potential. The game is initially accessed via the Epic Launcher application. Game Menus, as with previous titles, are fairly well laid out and offer the usual selection of options and play functions. The Create section of the launcher is an editor where items can be created, which can then be traded in the Marketplace section, which is where Unreal Tournaments’ revenue stream appears to be forming. The gameplay, as I mentioned, is heavily focused on the original UT. Gone are the vehicles from UT2004 and UT3 along with some of the extra weapons such as the Lightning Gun and Spider Mine. Play is fast-paced and frantic, with all the features any veterans of the game would expect. Game modes include the classic Deathmatch, Team Deathmatch and Capture the Flag, along with Assault Bombing Run, Duel and Warfare modes. Maps are varied and include not only new designs but many classic favourites showing off some clever and well balanced designs. Mutators such as Instagib are still included in this UT and are selectable when setting up or joining a game. Visually, Unreal Tournament is shaping up as a very slick-looking game. Unreal 4 engine is being used and it looks stunning even on less powerful systems. Most of the available maps are without textures at the moment, but the characters and weapons have been updated fairly frequently, adding better visuals and animations. The few maps that are textured look amazing and as we wait for the other default maps to be tweaked and textured, community maps are becoming available showing off the engine’s great lighting and effects. The Audio is very familiar, which suits the game very well, including multi-kill callouts which have become a staple for this kind of shooter. The netcode for this game is also well developed, whether playing on an official server or hosting your own at a LAN or across your internet connection. Along with some familiar port forwarding, you can rely on great performance even with what I would call mid-range pings (60-100). The game does include dedicated server capabilities, which do not require too much technical knowledge to get going, save for port forwarding which is easily fixed with a bit of googling. The game’s interface handles game setups in an easy and uncomplicated fashion. Unreal Tournament, comes highly recommended from me, even in its alpha development stage, it is still good enough to be a competitive event at a LAN party, providing many hours of enjoyment already. Give it a try - it's free!